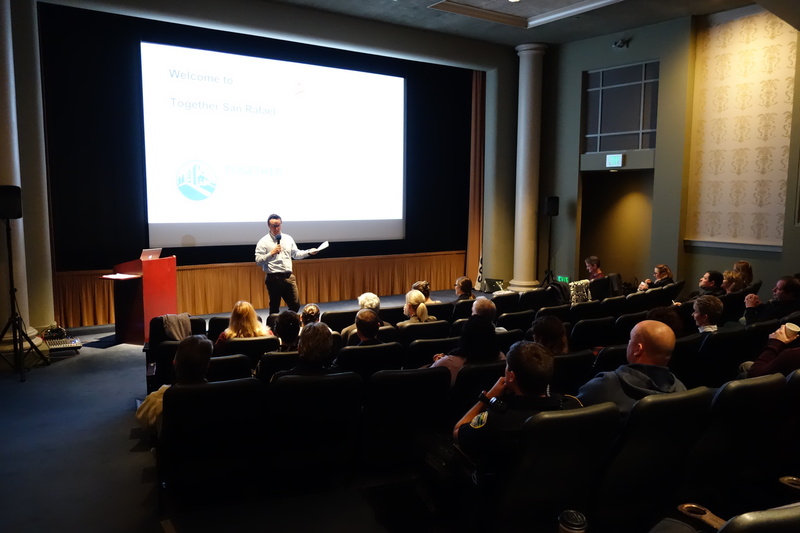 Last Tuesday, City staff hosted Demo Day at the Rafael Theater, where cross-departmental teams shared ideas they developed together to solve various challenges. This was the culmination of a three-month long program where City staff learned about human-centered design and how to apply it to their work as public servants. The teams worked on City employee evaluations, homeless encampment fire and health threats, obsolete and onerous regulations, cultivating a positive culture, and community partnerships.